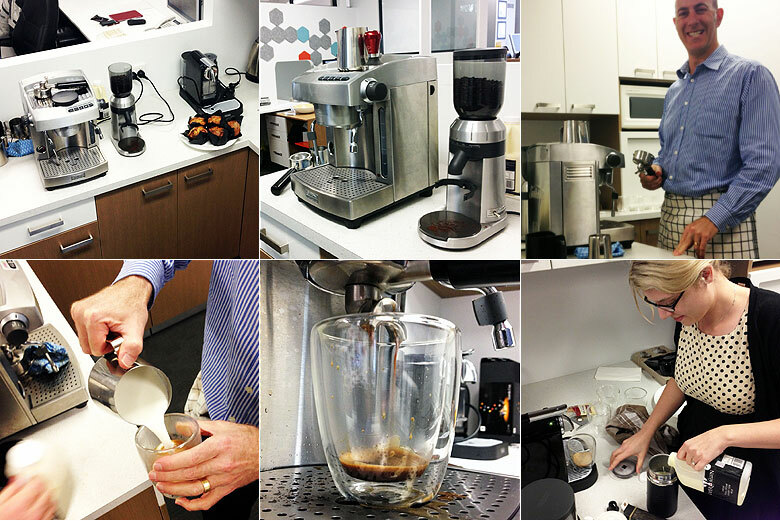 The Intertec offices were brewing this week, brewing with coffee that is. There has always been a lot of banter around the office when it comes to coffee: where to get our next takeaway, what’s the perfect ratio of coffee to milk, which coffee machine is best for home, what beans origin is the tastiest etc. One of these discussions turned to how does a serious coffee machine compare to the ever popular Nespresso. Steve volunteered to bring in his beefy Sunbean with a separate standalone grinder vs Emma’s dainty Nespresso with milk frother attachment. Steve went first using freshly roasted beans from Fiori in the grinder, wasn’t long before a beautiful aroma filled the office. The end product was a flat white that was on par to a top-end coffee house cafe. Emma stepped up next and smashed out all the coffees before you could say snap. The pod used was the Ristretto variety to try match the strength from Steve’s strong hit. The flavour was very reasonable but just didn’t have the depth of aroma and freshness of Steve’s. There was general consensus that the Sunbean (and Steve) did a great job, but there is a lot of effort and time that goes into making a cup, not to mention the cost of the setup is 4 times more expensive than the Nespresso. After all the action we continued our regular group meeting at accelerated pace thanks to the caffeine fix. Intertec are proud to announce the next release of i-Timesheets v5.4, packed with new features that are designed to streamline your time sheet tracking and management processes. i-Timesheets enhancements are largely based on feedback from our valued customers and reflects our strong commitment to provide you with software that continues to add ‘real’ value to your business. Administrators and Managers have access to authorise timesheets via a new Authorisation Screen. 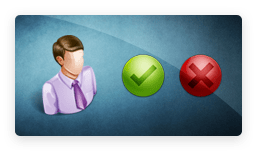 When you setup a Manager in i-Timesheets and you link that Manager to a Staff Logon you have the option to allow them to authorise by email and/or the new authorisation screen. Once the Manager record has been created and assuming you have authorisation enabled then the Authorisation Screen should appear as a new tab alongside the Check Timesheets screen as shown in the screen capture below. Note: For Managers the new Authorisation Screen will appear for either Project or Staff Managers depending on how you have authorisation configured in i-Timesheets. Administrators and Managers can do bulk approval/rejection of staff timesheets for a given period. Quick access to view the staff timesheet plus a link to the standard drill-down function for a detailed listing of time and expense records. 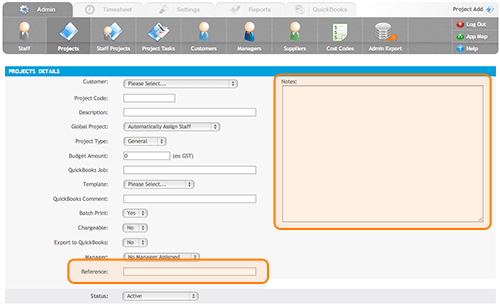 Administrators can filter based on ‘All Managers’ or a selected Manager. Managers see their pending authorisations only. Administrators can filter pending authorisations based on ‘All Projects’ or a selected Project. Project Managers can filter pending authorisations for Projects they manage. Staff Managers can view pending authorisations for Staff they manage. Administrators can override Managers authorisations when submitting staff timesheets. In the Audit tables the system records the Manager who does the actual authorisation via the screen as this may be different to the Manager who is sent the original request to authorise. Display a high-level summary table of the hours and costs associated with the pending authorisations. We have completely revamped our compact interface for time entry using smartphones and other mobile devices. The new Compact interface not only looks great with the carry-over of colour schemes from the desktop interface but more importantly Compact offers core functionality for a mobile workforce including time and expense entry as well as the ability to submit timesheets for authorisation. The Compact Interface is also available directly from the desktop interface using the ‘Switch View’ button located in the top far right of the Timesheet View screen as highlighted in the screen capture below. The ability to switch views from the desktop interface means that users now have the option to choose an alternative compact interface for time tracking. The ability to maintain an active session coupled with start and stop timers makes Compact a useful desktop tool for continuous time entry on multiple projects/tasks. To allow the entry and storage of additional information, Reference and Note field are now available on all key entities including Staff, Projects, Tasks, Customers and Suppliers. Start and stop timer buttons are now available on the time add/edit screen. If your system is configured to use start and finish times then by clicking the start button the system will automatically insert the current time as the Start Time. Once you have completed your project/task then click the stop button to have the system insert the current time as your Finish Time. If your system is configured to use entry of hours worked only then by clicking the start button the system will start a timer on the screen inside the Worked Hours field. The timer will continue to tickover every second until you press the stop button. Once you press the stop button the system will insert the time spent in the Worked Hours field. You can start a new timer on a second project/task which will then automatically stop the previous timer. Note: Start and stop timers are supported on both the desktop and compact interface. One of the major benefits of email authorisation has and still is the fact that the manager can simply click on an embedded link in an email to view the staff timesheet and accept/reject the timesheet. However if a pending authorisation email is subsequently forwarded to another manager to authorise then we don’t have the information required to track the manager who may have approved the timesheet and so the originating manager is captured as the authoriser in this case. With the introduction of screen based authorisation requiring a login we have enhanced the auditing of the timesheet authorisation process for capturing the manager who did the actual approval. This is especially important as Administrators can now access the Authorisation screen to approve/reject timesheets. We have also added the ability for Managers to override pending authorisations if they need to intervene and submit a staff timesheet. In addition the auditing function now captures a snapshot of the changes before and after. The audit reports present this information in ‘Last updated’ date order using colour coding to easily identify the event that took place, i.e. Insert, Change (from/to) or Delete. i-Timesheets now uses 128-bit extended Secure Sockets Layer (SSL) encryption to provide secure communication of your data over the Internet. 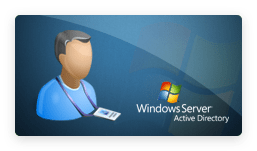 If your organisation uses Microsoft Active Directory for organizing and managing users on your network, then i-Timesheets can leverage your MS Active Directory to authenticate and authorise user access to i-Timesheets deployed on your network. i-Timesheets v5.4 will integrate with MYOB’s latest suite of AccoutingRight and AccountingEdge products for both the Australian and New Zealand versions of MYOB. The Project Timesheet Report now defaults to the date range previously selected for other reports. A check box was also incorrectly labelled ‘Add Task’ on this report. This has been corrected to ‘Add Description’. The Staff Admin page text search has been extended to include additional fields such as the Logon ID. Fixed an issue with MS IE 10 causing the calendar control on reports to display the wrong century. The column previously labelled Authorisor in the Audit Trail Report is now labelled Manager. Performance of screens such as the time add/edit, check times and staff time tracking report has been significantly improved for large datasets. The Cost Code Summary report displayed the heading ‘Percentage ex GST’. The reference to the tax code has been removed and now reads as ‘Percentage’. i-Timesheets has always suppressed the display of zero hours. In some contexts zero hours are now displayed as 0.00. This is particularly the case on timesheets for week and period totals, and in other contexts it indicates a zero-time entry. The View Timesheet screen attempts to compensate for errors in the clock of a remote machine when calculating time-zone offsets which in the past under rare circumstances could result in the wrong day being highlighted as the current day. This has been fixed. In the Project multiselector dialog box a dropdown was labelled ‘Status’, and, since it could refer to either Customer or Project status. The dropdown list is now labelled ‘Project Status’ to avoid any ambiguity. Admin screens and reports with large result lists would occasionally exceed the size of the Web server’s output buffer. The buffer is now flushed periodically to prevent buffer overflow failures. In very rare circumstances the timesheet authorisation emails would include links which did not lead the authorisor to the correct data, and instead said that ‘no data could be found’. The release of admin features to view and edit tables sometimes resulted in the edit privilege not being granted, particularly in the case of the ability to edit other users’ time records. The code which detects concurrent sessions and allows recovery now automatically cancels the existing session and starts a new one. The Project Task Budget report now includes time for which no Task is assigned. TimeClock now supports time capture across multiple locations. A new configuration option has been added to disable the display of financial values (charge and cost rates) on reports released to Managers. Exports now offer many more options in the drop downs for deriving values from key tables including Staff, Customers, Suppliers, Projects, Tasks (note options do vary for different accounting systems). QuickBooks timesheets export could under very specific circumstances summarise rather than displayed individual time records. This has been fixed. The Accounting System Import could fail if some fields were not present in the import file. The function has been made more robust. QuickBooks Class now added as a drop down option in the QuickBooks Timesheet and Expenses export screen. Here is a summary list of some of the enhancements included in our v5.4 release. A new look i-Timesheets website! We’ve just launched our new look i-Timesheets website! We’ve updated the design and interface for a cleaner, more contemporary look, and added a new area to our Demo Rooms so that you can now view a Demo featuring our new Quickbooks Integration Module. Our Support section has also been re-structured and beefed up, with an easy to use FAQ to help TimePro Admins and Users find answers to their frequently asked questions. From Xero to Hero: i-Timesheets integrates with Xero! Using the new Xero Accounting Integration Module, you can export time records as invoices for Accounts Receivable and Accounts Payable in Xero. You can export Xero Customer and Supplier data into i-Timesheets. This will help set up and configure i-Timesheets to match your Xero records. You can export time records from i-Timesheets into Xero to generate Accounts Payable Invoices and Accounts Receivable Invoices. You no longer need to manually create the invoices in Xero! Stay tuned for more news about our new Xero Integration Module. A good proportion of i-Timesheets customers are engineering firms that need where the ability to accurately track time and manage costs is critical in reducing scope creep, slippage and over-budget in projects. i-Timesheets provides engineering companies with a powerful and flexible timesheet system that lets you track time and costs on individual projects and services. The i-Timesheets suite of reports and its integration with MS Project give you the ability to monitor and track your projects right down to the level of their component tasks. i-Timesheets’s optional MYOB Integration Module also makes the process of billing your clients easier and more streamlined. Web-based, easy-to-use timesheets: i-Timesheets is completely web-based, so your engineers and project managers can enter times anywhere and at any time. i-Timesheets timesheets are so easy to use that no training is required for Users. Set up timesheets for daily or weekly time entry. Configure timesheets for entry of Start and Finish times, or Worked Hours. Expense tracking: i-Timesheets features Expense recording and tracking, letting your staff log in their expenses which you can then track across a range of i-Timesheets reports. Budget and cost tracking: i-Timesheets reports make it easy for managers to quickly see how time and costs are tracking against budget. Simply assign budgets to Projects and Tasks and let i-Timesheets’s bevy of reports show how these Projects and Tasks are performing against the time and costs recorded against them. This is ideal for busy project managers who need to have their fingers on the pulse at all times. With i-Timesheets, you can generate reports showing time and cost for Projects, Staff, Expenses, Tasks and Budget. If there’s a report type that isn’t included in i-Timesheets out-of-the-box, we can build it for you. Detailed drilldowns: Need further detail about data presented in a report? Simply click the Drilldown function to view all time and cost records associated with the report item. Global projects: Global Projects make it easy for you to set up Projects that are worked on by all Staff. Simply flag a Project as a Global Project when created and all Staff will be assigned to this Project. You can also set up default charge and cost rates for Staff working on Global Projects. MS Project integration: Do you use Microsoft Project to plan, monitor and track your Projects? i-Timesheets lets you import Project Tasks and their attached budgets into the system, and export the tasks and actuals back into MS Project to keep your MS Project data updated with the latest time and cost recorded in i-Timesheets. Manager authorisation: i-Timesheets’s automated Manager Authorisation managers review and approve of submitted timesheets via email. Staff no longer need to go through the time-consuming process of printing their timesheets and having them signed by their manageri-Timesheets enables timesheets authorisation at the click of a button! i-Timesheets gives you the option of using Electronic Signatures: automatically attach Staff signatures to their timesheet. You can also include Managers’ signatures to indicate authorisation of timesheets. Print timesheets: Need hard copy timesheets? i-Timesheets’s print timesheets feature lets you create printed timesheets, complete with electronic signatures, if enabled. You can choose from a range of timesheet templates in which to display data on your printed timesheets. Template options include start/finish times, worked hours and the inclusion of Task and Descriptors in the timesheets. We can also create customised printed timesheets for you, with their own unique format and featuring your company’s logo (custom feesl apply). Check timesheets: Forget about having to chase staff for timesheet submissions. With a click of a button in i-Timesheets, you can see who has yet to complete their timesheets and send them an automatic e-mail reminder. Rates for different roles: Do you have Staff working on the same Project in different roles, who are charged out depending on their role on the Project? i-Timesheets gives you the flexibility of multiple assignments of Staff to Projects. Bulk change: Maintaining timesheet records can be time consuming – especially when you’re dealing with large, complex Projects. With i-Timesheets’s Bulk Change feature, you can significantly reduce the time spent on editing or modifying these records. Bulk Change is a powerful tool which streamlines the maintenance of Staff Project records by letting you update multiple Staff Project records retrospectively. Perfect for when you need to update Charge and Cost rates in the new year. MYOB integration: If your business uses MYOB for accounting and invoicing, let i-Timesheets’s MYOB Integration Module automate and streamline the process of creating Sales Invoices and Purchases Invoices in MYOB. Simply export your time records into MYOB and generate your invoices directly in MYOB without further effort. You can also export i-Timesheets records as Activity Slips into MYOB for time billing processing or payroll integration. This powerful module will significantly reduce your administrative overheads. Cost code tracking: Does your business operate across different cost centres or offices in different locations? Do you need to track times and costs across these centres? i-Timesheets offers the ability for you to track times and costs across centres using our Cost Code facility. Simply assign staff working on specific projects to Cost Codes, and use the Cost Code report to track the charges and costs at these centres. Configurable settings: Every business has its own unique time recording, management and invoicing processes. To accommodate our very broad client base, i-Timesheets has over 60 configurable items allowing you to tailor the system to suit your business rules and processes. i-Timesheets provides flexibility and adaptability in the one out-of-the-box solution! 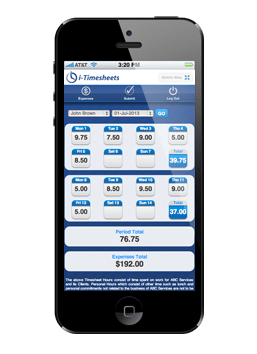 i-Timesheets for mobile devices: With i-Timesheets’s Compact Interface, you can enter your timesheets using portable mobile devices (PDAs, Blackberrys, iPhones, Palm Pilots and Pocket PCs). The Interface gives Users a neat and compact screen for core time-entry activities, making i-Timesheets available for your mobile workforce. i-Timesheets v5.2 boasts a range of enhancements that make i-Timesheets a more powerful and more efficient web timesheets system for your business. With v5.2, we extend i-Timesheets’s accounting package integration to include QuickBooks. You can now integrate i-Timesheets with QuickBooks for invoicing, Bills, Timesheets and Expenses. Import Quickbooks Customers and Suppliers into i-Timesheets to set up your i-Timesheets Customer and Supplier records. Export time records and expenses as QuickBooks Invoices, Bills, Timesheets and Expenses. Time recorded for a given day can now be copied to one or more other days via an Advanced Options link at the bottom left of the Time Entry screen. This new feature can be enabled/disabled via a Configuration option in the i-Timesheets Settings. This is a quick and convenient way to save time if users have to enter the same times across a number of days or weeks. For example entry of extended holiday leave. Co-branding gives you the option of having your company logo appear in the i-Timesheets application. Co-branded systems will display your company logo, followed by the caption “powered by i-Timesheets”. While a select few of our i-Timesheets v5.1 customers adopted an earlier version of the co-branding functionality, the i-Timesheets v5.2 upgrade builds on the technology in that the feature has now been fully implemented to include co-branding across i-Timesheets screens, timesheet templates and standard reports. Note: Consulting fees apply for co-branded i-Timesheets systems. Major improvements have been made to the i-Timesheets Data export function, which now allows you to create and save data exports to re-run at later dates. In addition to the Time and Expense data exports, you can now also export Attendance data. You can also edit existing saved Exports, or make a copy of an existing saved Export. A new “Check Managers” function has been added to the Timesheet-Check screen to resend Managers any pending authorisation emails for timesheets. This circumvents the previous workaround of unlocking and re-submitting staff timesheets in order to resend the authorisation emails. Users who have forgotten their passwords can now reset their passwords for themselves without having to contact their i-Timesheets administrator. A new Staff Cost Detail Report has been created which is similar to the existing extensively used Project Cost Detail Report but is Staff-focussed rather than Project-focussed. The i-Timesheets Configuration Settings screen has been made more user-friendly via an enhanced tabbed interface. Each Configuration Setting category is now represented by its very own Tab. Click on a Category Tab to view the configuration settings in that category.This tabbed interface makes it easier to quickly configure your i-Timesheets settings. You can make multiple configuration changes across different Categories all at once, and then click the Save Settings button to commit the changes you have made. Our powerful Global Project function has been significantly enhanced. Staff which had not previously been allocated to Global Projects can now be assigned to Global Projects, and i-Timesheets will retroactively create the relevant Staff Project Records allocating Staff to all Global Projects. Similarly, existing i-Timesheets Projects which were not previously marked as Global Projects can now be set as Global Projects, and i-Timesheets will retroactively create the relevant Staff Project Records allocating Staff to this Global Project. Project Lists and Multi Selectors: Project selection lists in reports now show the disabled Projects at the end of the list flagged with a different background colour. Reports which have a project dropdown with the new multi-selector now only show active Projects by default. In addition, new multi-selectors for Staff and Projects have been introduced on many reports/exports and the Batch Print screen. Full description text displayed in Time and Expense entry screens: The full Description text can now be viewed in a pop up when you move your mouse pointer over the Description field in the Time Entry or Expense Entry screens. This lets you read the full Description without having to click on the Description field and scrolling through the text entered there. Date Selection on Reports: To improve the usability of reports, i-Timesheets now remembers and defaults to the most recent date range entered in reports during a given session. Auditing of Tasks: The Audit module and Report has been updated to track inserts, deletions and changes to Global Tasks and Project Specific Tasks. Accounting System Selection: You can now select your Accounting System from the i-Timesheets System Configuration settings. Choose between MYOB or Quickbooks. New Alert Message if System has been Disabled for Normal Users: Should the “Normal Users May Access” configuration setting be set to Off, i-Timesheets will display a constant message informing Administrators that access has been set to Admin users only. The ability to export Expense records as Activity Slips. More options for content to be included in the Notes field (now extended to optionally include Project Description, Task External ID and the MYOB Line Item Order). The option to select the Value to be supplied as Rate in the Activity Slips Export. You can choose to use the Staff Project Charge Rates stored in i-Timesheets, or to use the Rates stored in MYOB. Options for values to be supplied as Activity ID, MYOB Job and MYOB Payroll Category now include: Projects MYOB Job number, Staff Projects Cost Code, Staff Projects Description, Staff Projects MYOB Activity ID, Staff Projects Role, Staff Reference, Task Description, Task External ID or a value entered by the Admin User. Multiple Customers, Projects, Staff, Staff Type and Expense Codes can now be selected for the same Activity Slips export (previously, single selection or all was only available for each category). The various export selections that you choose are now saved for when you next run the export. MYOB Customers and Suppliers: When a MYOB Customer or MYOB Supplier record is created manually (ie. not via importing from MYOB), you can now select to generate the corresponding i-Timesheets Customer or Supplier record automatically.